This has extended the restricted area to include an additional 153 properties. The Nakara restricted area now meets the boundary of the Wanguri restricted area. The Citrus Canker Program has been focusing on plant identification and removal in the Nakara and Wanguri restricted areas since December 2018. The infected plant has been traced back to the original supplier and is not a result of natural spread of the disease. 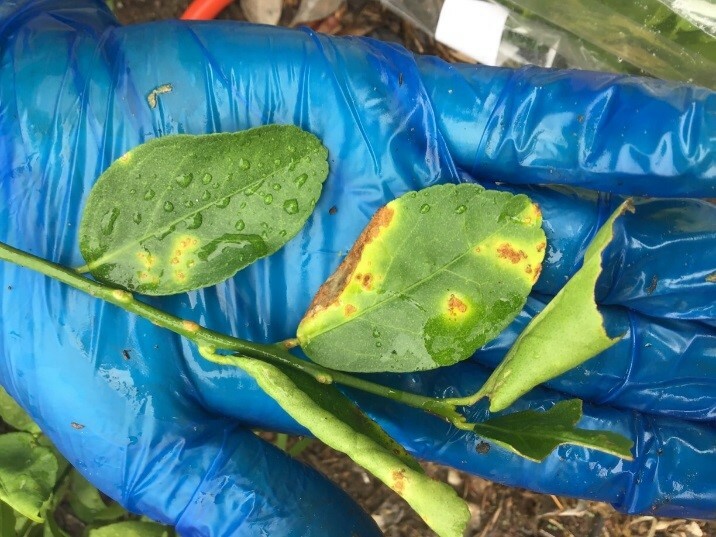 Available evidence indicates that citrus canker is still restricted to citrus plants sold since 1 January 2017 and to date all infected plants are linked to the original source. Ongoing efforts continue to show no signs of the disease in commercial citrus orchards. The Citrus Canker Program continues its efforts to eradicate the citrus canker disease from the NT. The program has received positive support from the Australian Government and other States and Territories to continue with tracing and surveillance activities, and work towards successful eradication of citrus canker from Australia. The Citrus Canker Program will communicate directly with each new household and business in the Nakara restricted area to coordinate surveillance of properties and removal of citrus canker host plants.